There’s been a lot of progress on the gender equality front in the past 50 years. 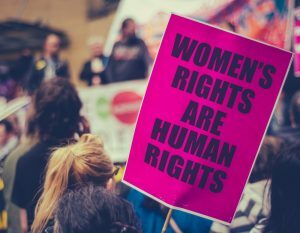 Unfortunately, what progress has been made is now being threatened by what the United Nations deems “alarming pushback.” Here are five women’s rights issues that are currently at stake within the U.S. The Trump administration has made it very clear where it stands on the issue of abortion. One of the first things President Trump did after taking office was reinstate the global gag rule, a policy that blocks U.S. aid to any non-governmental organization that provides, or even mentions, abortion services. The president has also vowed to only nominate pro-life justices to the Supreme Court. Women’s rights activists worry that confirmation of Trump’s latest SCOTUS pick, Brett Kavanaugh, will result in a rollback of protections related to Roe v. Wade. On January 29, 2009, President Obama signed the Lilly Ledbetter Fair Pay Act, a federal statute that prevents pay discrimination. It was the first bill he signed into law. Proposed changes to our current health care laws could leave millions of women uninsured or forced to pay higher premiums. Under the new U.S. health care bill, insurers would be allowed to discriminate against people with “pre-existing medical conditions,” which include pregnancy, C-sections, and treatments related to domestic violence or sexual assault. In 2017, the Center for American Progress warned that proposed federal budget cuts could limit funding for the National Domestic Violence Hotline and the Violence Against Women Act. 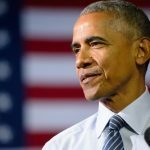 Also in 2017, the Senate approved a House-passed resolution to overturn Obama’s Fair Pay and Safe Workplaces order, a labor law that included protections for victims of sexual harassment.